This shop for a Lemon Thyme Arnold Palmer has been compensated by Collective Bias, Inc. and its advertiser. All opinions are mine alone. 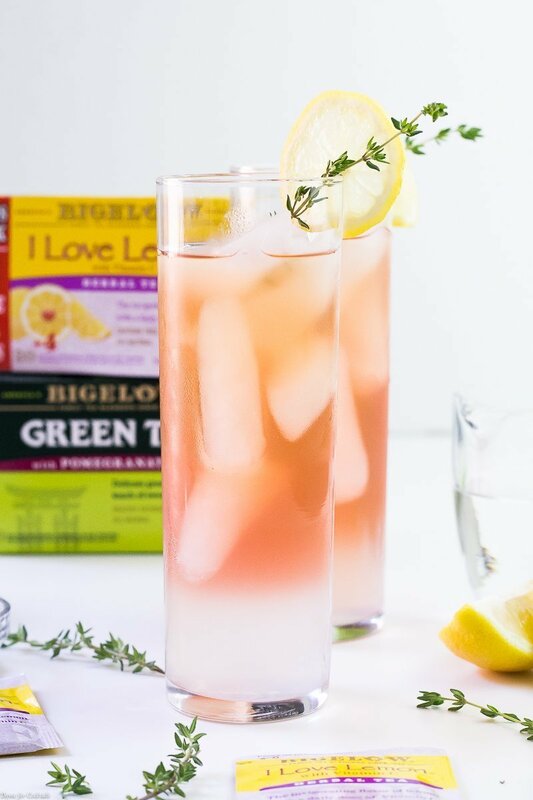 #TeaProudly #CollectiveBias Late summer days beg for a refreshing Lemon Thyme Arnold Palmer made with fresh squeezed lemonade, Bigelow ‘I Love Lemon’ iced tea and a lavender thyme simple syrup. With the kid leaving in 2 weeks for Army basic training it’s tough for me not to reflect on my own military experience. The people, the places and of course the food! [bctt tweet=”Lemon Thyme Arnold Palmer #summer #fresh #real #icedtea” username=”thyme4cocktails”] And for me nothing compares to the homemade sweet tea I discovered while stationed in Alabama. It is a southern art form that I tried to perfect over the years. It took me forever to figure out that they use a simple syrup to sweeten the tea and not plain sugar. To make a simple syrup you just heat equal parts sugar and water on the stove, stirring until the sugar is dissolved. It was a revelation that opened my eyes to so many possible flavor combos. Because simply syrups are so easy to infuse with a variety of citrus, herbs, fruits and more. Plus it really allows you to control the amount of sweetener you add to your Bigelow #TeaProudly creation! 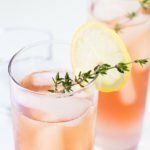 They are a great entertaining add-in for an ice tea bar where guests can customize their own drinks. Think late summer BBQs, after-school playdates and Sunday brunch with the girls. 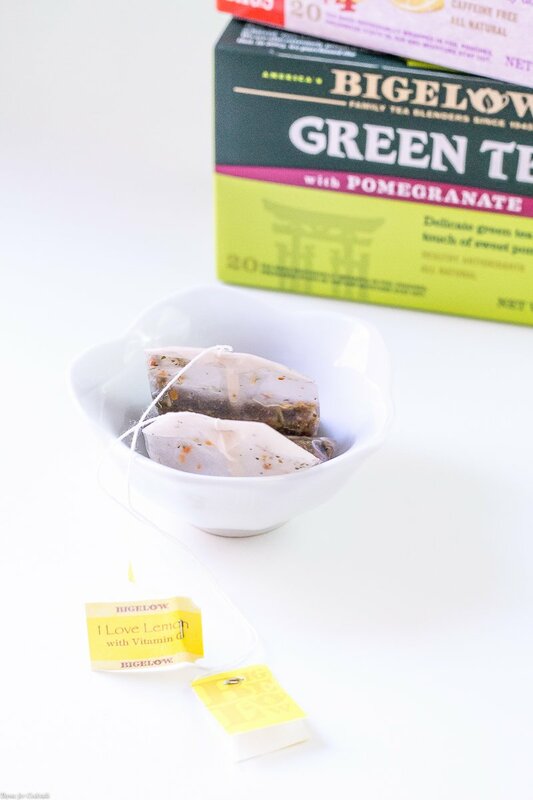 I have even been known to spice up Bigelow Pomegranate Green Tea with a jalapeno kick! But this Lemon Thyme Arnold Palmer, featuring Bigelow ‘I Love Lemon’ herbal tea from Walmart, is by far one of my favorite summertime drinks. 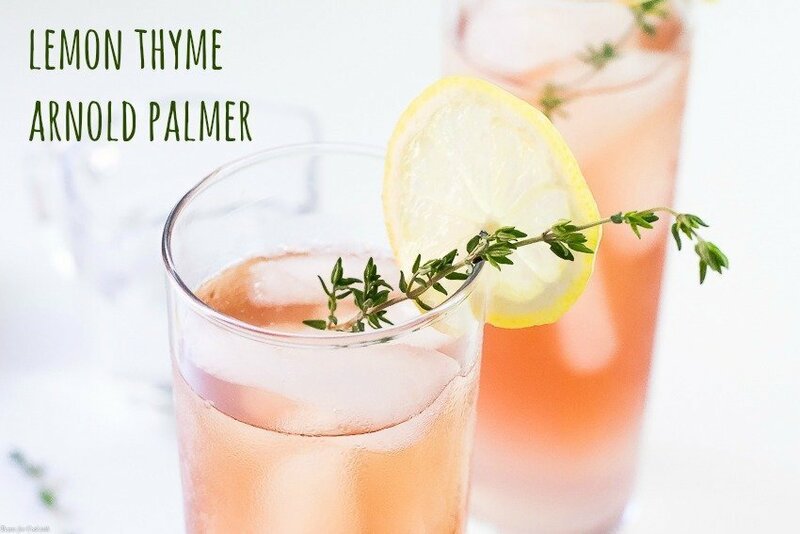 The lavender thyme simple syrup really adds a wonderful dimension of flavor. 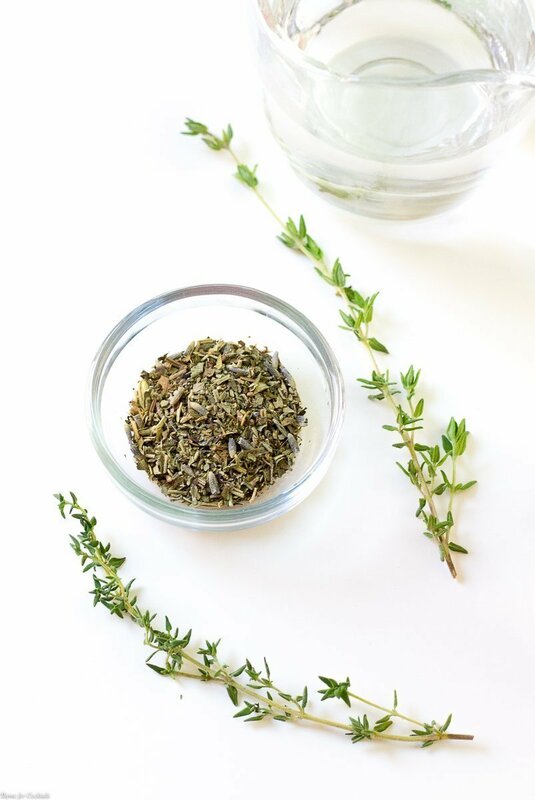 I use Herbes de Provence and fresh thyme to give the sweetener a light floral/herbal touch that isn’t overwhelming and pairs really well with the zingy citrus of the lemon juice. 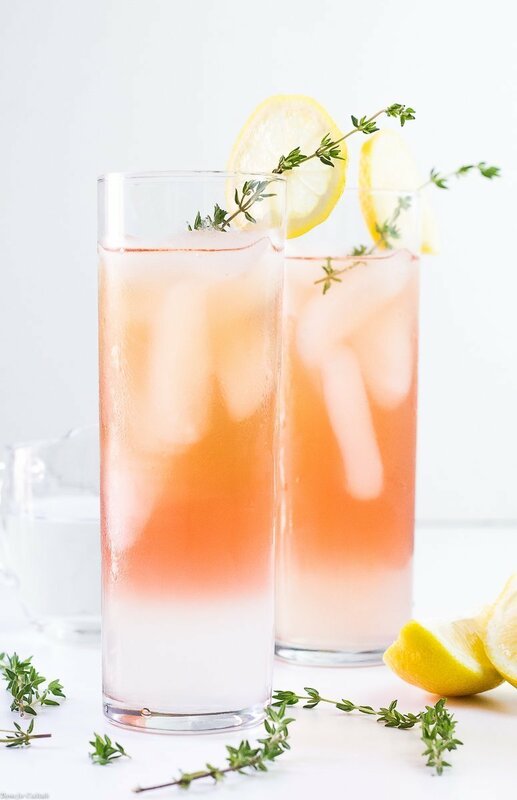 Late summer days beg for a refreshing Lemon Thyme Arnold Palmer made with fresh squeezed lemonade, Bigelow 'I Love Lemon' iced tea and a lavender thyme simple syrup. Prepare tea according to package directions, set aside. Heat water and sugar in a small saucepan. Bring to a low boil, stir until sugar dissolves. Add herbs, let cool 10-15 minutes. Strain out herbs. Add desired amount of tea, simple syrup and lemonade to glasses filled with ice. Serve immediately.